The 45th Italian Team Chess Championships for men and women are being held from April 26th until May 1st at the Hotel Milano Alpen Resort & SPA in Bratto (Fraz Castione Presolana – Bergamo). The event is a 7-round Swiss open with a time control of 90 minutes for the first 40 moves plus 15 minutes to finish the game, with 30 seconds increments from the first move. The women’s event will be played during 6 rounds with a time control of 90 minutes plus 30 seconds increments from move 1. The prize fund for the man event amounts to 5.000 Euros to be distributed as follows: 1st – 2.000 Euros; 2nd – 1.500 Euros; 3rd – 1.000 Euros; 4th – 500 Euros, according to a Chessdom news site post. The first seeded team is the Obiettivo Risarcimento Padova, which includes in his roster two players that are currently playing at the Zug Grand Prix, Fabiano Caruana and Hikaru Nakamura. Even though these top GMs will not be participating, they count with other strong players, such are Ivan Cheparinov and Bulgarian champion Kiril Georgiev. The team Chieti has Gawain Jones on the first board, while the Soc. Scacch. 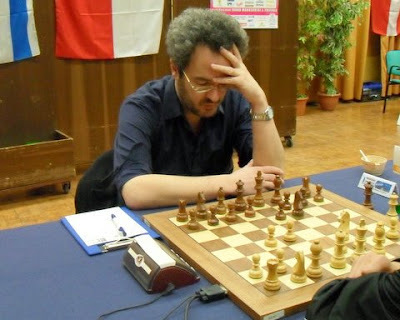 Milanese 1881 has Italian champion Alberto David as the first seed. You can access the official website for live chess games.